We are open sourcing a React Native boilerplate for creating mobile applications. 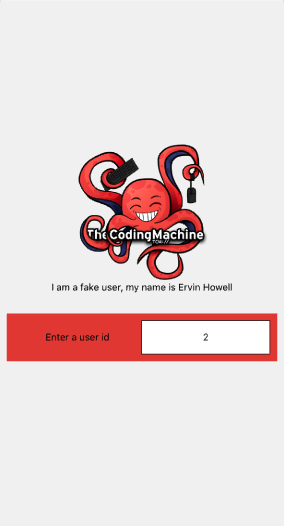 This boilerplate is a template project that builds on all the experience accumulated writing mobile applications at TheCodingMachine. The boilerplate is based on libraries such as Redux and Redux-Saga and provides a solid architecture that facilitates separation of concerns between the UI, state management and business logic. There are more and more mobile applications being built at TheCodingMachine, and every project is the opportunity to learn something new to make the next one even better. What we've learned over time is that while React Native is a great tool to build iOS and Android applications, keeping the code organized and maintainable can become a challenge. Instead of re-installing the same libraries and re-writing the same architecture for every project, we've decided to put all that into a boilerplate. On top of that, we have documented every file and piece of code in this boilerplate so that all the choices we made are explained and explicit. What about existing boilerplates? We cover that at the end of the article. Presentational components are separated from containers (aka "screens"). Presentational components are small components that are concerned with how things look. Containers usually define whole application screens and are concerned with how things work: they include presentational components and wire everything together. If you are interested you can read more about it here. State is managed using global Redux stores. When applications grow, sharing state and its changes can become very hard. Questions like "How can I access this data?" or "When did this change?" are common, just like passing data around components just to be able to use it in nested components. With Redux, state is shared using global stores, and changes are predictable: actions are applied by reducers to the state. While the pattern can be a bit much for small projects, the clear separation of responsibilities and predictability helps with bigger applications. Application side-effects (API calls, etc.) are separated from UI and state manipulation using Redux Saga. Using Redux Saga has two benefits: keeping application side-effects and related business logic out of UI components, as well as executing that logic in an asynchronous way without ending in callback hell. The boilerplate includes an example (displaying the current weather temperature) from UI components to the saga. The example is easy to remove so that it doesn't get in the way. That's it! The application is fully functional, for example you can run react-native run-android to start the Android application or react-native run-ios for the iOS one. If you have any issue, check out the README for more detailed instructions. You can start exploring the App directory to checkout the example included, or begin coding your application. We looked into existing boilerplates before starting this project, and while many of them are awesome, we did not find what we were looking for. The most popular is mcnamee's Starter Kit, which is unfortunately limited by Expo and misses Redux Saga. Finally some did not contain the architecture we were looking for (the separation of concerns with Redux, Sagas, etc. ), for example re-start. One interesting exception was Ignite IR Boilerplate "Andross", but after consideration we decided not to use it because of the large amount of unnecessary code/components it provided. Since we are the first users of the boilerplate our goal is to keep it up to date. We are actively looking into supporting the latest React Native release, and we will continue to improve it continuously. We are also documenting other parts related to building mobile applications that cannot be solved by code. For example we have documented how to deploy beta builds for TestFlight and the Google Play Store. Follow the project to keep updated! Matthieu is a software consultant. He is the co-editor of PSR-11 and PSR-15 as well as the author of open source projects like PHP-DI and Bref.